A drug company violated antitrust laws when it bought the rights to a drug that threatened its monopoly for a life-saving drug, allowing it to raise prices by 85,000 percent, the Federal Trade Commission and five states charged. Mallinckrodt ARD Inc., formerly known as Questcor Pharmaceuticals, Inc., will pay $100 million to settle FTC charges that it violated antitrust laws when it acquired the rights to a drug that threatened its monopoly in the U.S. market for adrenocorticotropic hormone (ACTH) drugs. 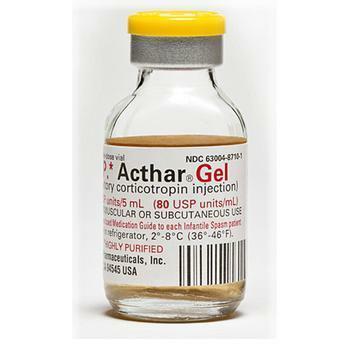 Acthar is a specialty drug used as a treatment for infantile spasms, a rare seizure disorder afflicting infants, and a drug of last resort to treat several other serious medical conditions – including nephrotic syndrome, flare-ups of multiple sclerosis, and rheumatoid disorders. According to the complaint, Acthar treatment for an infant with infantile spasms can cost more than $100,000. The FTC charged that Questcor illegally bought the U.S. rights to develop a competing drug, Synacthen Depot, stifling competition by preventing any other company from developing a synthetic ACTH drug using the Synacthen assets. That allowed Questcor to preserve its monopoly and charge extremely high prices for Acthar, the FTC alleged. In addition to the $100 million monetary payment, the proposed court order requires that Questcor grant a license to develop Synacthen Depot to treat infantile spasms and nephrotic syndrome to a licensee approved by the Commission. The company said it was "pleased" to settle the matter "although we continue to strongly disagree with allegations outlined in the FTC's complaint, believing that key claims are unsupported and even contradicted by scientific data and market facts, and appear to be inconsistent with the views of the FDA," a spokesperson for London-based Mallinckrodt said. Alaska, Maryland, New York, Texas, and Washington joined in the FTC’s complaint. Under the settlement, the states will receive $10 million from the $100 million judgment and an additional $2 million as payment for attorney’s fees and costs.